The Mr. and Mrs. Smith team, Tamara and James Lohan have taken a business idea and turned it into one of the UK’s most successful ‘aspirational but still accessible’ accommodation brands. 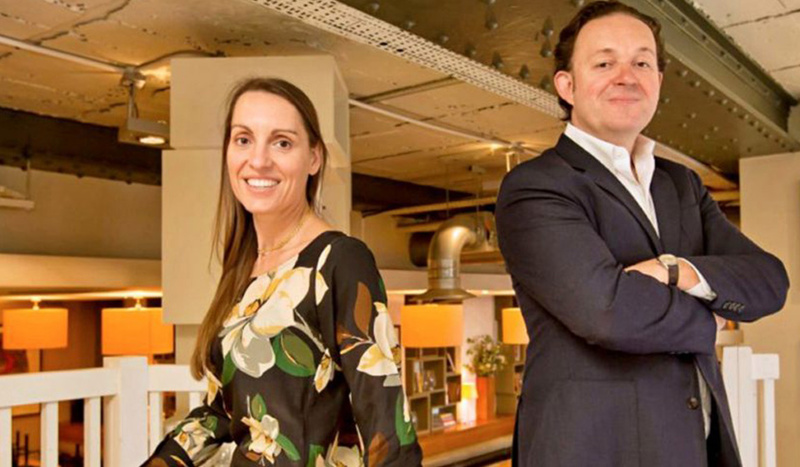 In 2014, both James and Tamara were both awarded MBEs for services to the British travel industry, and they continue to serve as inspirational figureheads for entrepreneurship today. Mrandmrssmith.com has twice been voted ‘Best Travel Website’ at the Condé Nast Traveller Readers’ Awards. Tamara, CTO of the company, leads the development team who power the cutting-edge technology behind the website and the booking engine, and she has also launched the Smith Travel Blog, smithandkids.com, smithandfamily.co.uk and the Smith Hotels iPhone app. Tamara worked in the marketing departments of major international brands including Swissair, Honda, Unilever and Ericsson, and honed her technical knowledge through many data-driven projects, including building large CRM databases through online channels. In 2002 she set up her own company, an exclusive introductions agency known as The County Register, which paved the way for the launch of Mr. & Mrs. Smith. Passionate about the luxury market, James co-founded restaurant and members’ club the White House, which led naturally to boutique hotels, and to Mr & Mrs Smith. The first guide book hit bookshops in 2003, and the business grew into a multi-faced boutique travel provider, under the talented and knowledgeable eyes of James and Tamara. In 2005 they introduced an online booking service, and the following year the company engaged an in-house reservations team. The business now encompasses a three-tiered membership programme, which comprises a full travel and lifestyle concierge service. With over 75,000 active members, Mr. and Mrs. Smith has gone international, with the brand launched in the Asia-Pacific region and North America from offices in Melbourne and New York.